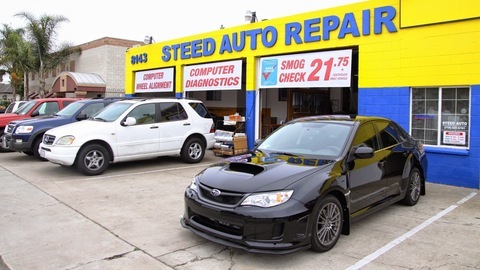 Steed Auto Repair (aka Steed Alignment) has been in business in Buena Park since 1945. Steed Auto Repair is a complete auto service shop facilitated with all of today's necessary equipment, diagnostic tools, and technicians, who can get the job done right! That's right, no other local auto repair business in the area is more ready than Steed Auto Repair. Our service advisers are helpful, knowledgeable an courteous; they are ASE Certified professionals. Our technicians have many years of experience in all types of auto repairs for your compact, luxury or sport utility vehicles. From simple oil changes, electrical repair, alignments, engine replacement and smog check repairs - no job is ever too big or too small. Our large shop area can accommodate motohomes, RV's, large commercial vehicles, cargo vans, stake bed trucks and more. 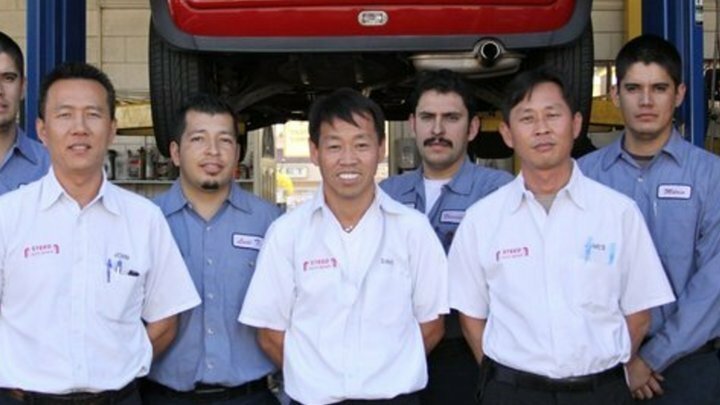 Come and see why Steed Auto Repair in Buena Park has the right people, facility and experience to handle all of your vehicle auto repair needs.